The eye-catching stills of actor Jung Gyu Woon in SBS’s Salaryman Chohanji are made public. 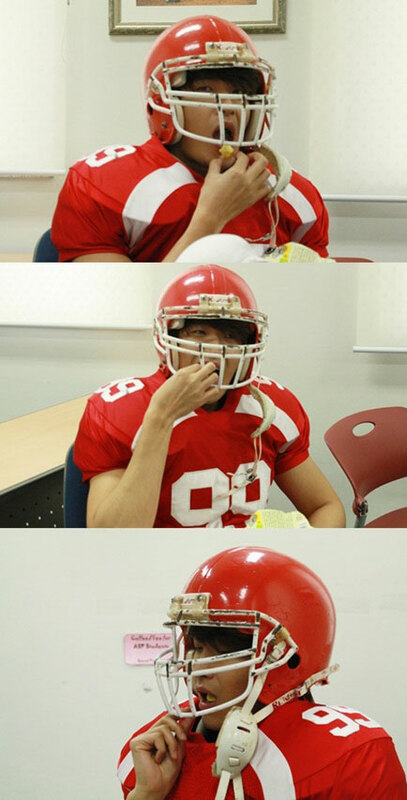 In the released photos, Jung Gyu Woon is wearing the baseball player’s uniform and helmet, but he insisted on opening his mouth to eat snack, spoiling the otherwise perfect image. In the drama, Jung Gyu Woon is playing the role of Choi Hang Woo who has indifferent personality yet full of ambitious.